On that night the king could not sleep. And he gave orders to bring the book of memorable deeds, the chronicles, and they were read before the king (Esth. 6:1). When you look through old books in a used bookstore, you’ll often find interesting inscriptions inside. In the book of Esther, several coincidences result in the deliverance of the Jews. But were these coincidences really coincidences? Were these events the result of mere chance, or were these events directed by the unseen hand of God? Sometimes Christians can feel like God is absent from their lives. They read about the miracles in the Bible, but their lives lack anything miraculous. If that’s how you feel right now, the book of Esther can be an encouragement to you. What does the book of Esther say to people who are discouraged about not getting a miracle from God? God doesn’t need to perform a miracle to do something amazing. The working of God in our lives without the use of miracles is called divine providence. The apostle Paul writes, “For those who love God all things [both good and bad things] work together for good” (Rom. 8:28). The ultimate example of divine providence is the cross. The apostle Peter declared to the people of Jerusalem, “This Jesus, delivered up according to the definite plan and foreknowledge of God, you crucified and killed by the hands of lawless men” (Acts 2:23). The cross was something very bad, but God used it to do something very good. It’s been said that “coincidence is God’s way of remaining anonymous.” In Esther 6, a series of amazing “coincidences” take place. It just happened that the king couldn’t fall asleep that night (v. 1). It just happened that “the book of memorable deeds” was read to the king (v. 1). It just happened that when the book was read, the person reading the book came to the part that told of how Mordecai had warned the king of an assassination plot (v. 2; cf. 2:19-23). It just happened that Mordecai had never been rewarded for his good deed (v. 3). It just happened that while the king was thinking about how to reward Mordecai, Haman walked into the palace (v. 4). The turning point in the book of Esther is the King’s inability to sleep—a seemingly insignificant event. “By making [the turning point] an insignificant event rather than the point of the highest dramatic tension [i.e., Esther going to see the king (5:1-8)], the author is taking the focus away from human action.”  What might seem like an insignificant event to us could be something that God intends to be a turning point. In the story of the Good Samaritan, Jesus says that the priest “by chance” walked down the road where the man was injured (Luke 10:31). But the priest didn’t stop to help. When you “just happen” to meet someone, is it just a chance encounter, or did God want you to meet that person for a reason? This week, try to capitalize on the “coincidences” of your life. God is not mentioned once in the book of Esther. This wasn’t an oversight by the author. The book teaches us that we shouldn’t interpret the hiddenness of God as his absence. A miracle is not merely an unusual and amazing event. A miracle is “a less common kind of God’s activity in which he arouses people’s awe and wonder and bears witness to himself” (Wayne Grudem, Systematic Theology, 355). “Unlike God’s ordinary providence, his miraculous intervention involves a suspension or alteration of natural laws and processes in particular circumstances” (Michael Horton, The Christian Faith, 355). So a miracle, by definition, is a rare event. So Haman came in, and the king said to him, “What should be done to the man whom the king delights to honor?” (Esth. 6:6). One of our basic human needs is to have a sense of self-worth. The dictionary defines “self-worth” as “the sense of one’s own value or worth as a person.”  When people lack a sense of self-worthy, depression  and even suicide can be the result. Without a sense of self-worthy, life doesn’t seem worth living. How can we gain a sense of self-worth without inflating our egos? Debra Reid describes Haman as “an egocentric megalomaniac bent on retaliation and destruction if his fragile ego is subject to the slightest provocation.”  In other words, he was self-obsessed. When Mordecai refused to bow down and pay homage to Haman (Esth. 3:2), Haman devised a plot to kill not only Mordecai but also “all the Jews, the people of Mordecai, throughout the whole kingdom of Ahasuerus” (Esth. 3:6). What caused Haman to want to commit genocide? Pride. Pride has been described as “the ruthless, sleepless, unsmiling concentration upon self.”  The person filled with pride will always be looking for ways to get back at people who offend him or don’t give him the recognition he thinks he deserves. When I mention pride, do you think, “That sounds just like so and so”? Pride is like carbon monoxide (the “silent killer”). It’s deadly, but we often don’t see it in our own lives—though pride is every easy to see in other people’s lives. Haman occupied a powerful position in the kingdom (Esth. 3:1). But Haman wasn’t content with being powerful; he wanted everyone to know that he was more powerful than everyone other than the king. And when Mordecai wouldn’t show Haman the respect a person of his position was supposed to receive, he couldn’t stand it: “Yet all this is worth nothing to me, so long as I see Mordecai the Jew sitting at the king’s gate” (Esth. 5:13). The life of Haman is a perfect example of pride coming before a fall. The king asked Haman, “What should be done to the man whom the king delights to honor?” (Esth. 6:6). Haman became excited, thinking that the king wanted to honour him. But being honoured by the king would just have inflated Haman’s ego. There is a better King who “delights to honor” us. God honours us by making us his children. But this honour shouldn’t fill us with sinful pride. We are not children of God because we are better than others. We are children of God due to what Jesus did for us. Haman was humbled, but Jesus chose to be humbled (“he humbled himself by becoming obedient to the point of death, even death on a cross,” Phil. 2:8). On the cross, the tables were turned. Jesus reversed places with us. “For our sake [the Father] made [Jesus] to be sin who knew no sin, so that in him we might become the righteousness of God” (2 Cor. 5:21). We will gain both self-worth and humility when we understand the grace of God. I am unworthy of God’s love, but he loves me. The cross proves to me that I matter to God. One of the symptoms of depression is feelings of worthlessness (http://www.phac-aspc.gc.ca/cd-mc/mi-mm/ depression-eng.php). About 10 Canadians per day commit suicide. Debra Reid, Esther: An Introduction and Commentary, 111. C. S. Lewis, The Screwtape Letters, page unknown. C. S. Lewis, Mere Christianity, 120. The book of Esther is about reversal of fortunes. The tables begin to turn when the king couldn’t fall asleep (Esth. 6:1). This is the first in a series of “coincidences” that lead to the downfall of Haman and the deliverance of the Jews. J. R. R. Tolkien, The Two Towers, 291. Tim Keller, “The Man the King Delights to Honor” (sermon). “Then I will go to the king, though it is against the law, and if I perish, I perish” (Esth. 4:16). 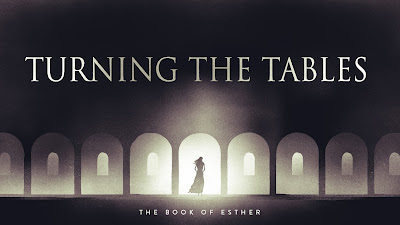 In the book of Esther, there is the curious incident of God. “But,” you say, “God is silent in the book of Esther. The author doesn’t even mention God.” That is the curious incident. Karen Jobes writes that “the complete absence of God from the text is the genius of the book.”  The author of the book of Esther intentionally leaves out any mention of God to show us that even when God is silent, he is still working in the lives of his people. We shouldn’t interpret God’s silence as his absence. Esther had to make a very difficult decision. She was asked to do something that would put her life at risk. Perhaps she thought to herself, “I wish God would clearly show me what I should do.” But God was silent. Like Esther, we’re often unsure what we should do. Of course, we have the Bible (i.e., God’s word), but it doesn’t always give us the answers we’re looking for. God is silent. What should we do when God is silent? Do what you’re convinced is best, and leave the rest to God. In chapter 3, we are introduced to a man named Haman. Haman was an extremely proud man. The King promoted Haman to an important position (3:1). Everyone who occupied a lower position than Haman was expected to bow down and pay homage to him. And everyone did, except for Mordecai (3:2). Mordecai asked Esther to “plead with [the king] on behalf of her people” (4:8). But Esther told Mordecai that “if any man or woman goes to the king inside the inner court without being called, there is but one law—to be put to death, except the one to whom the king holds out the golden scepter so that he may live” (4:11). And Esther wasn’t sure that she would be granted access by the king. She said, “I have not been called to come in to the king these thirty days” (4:11). Maybe by this time the king had lost interest in Esther. Finally, Esther said, “Then I will go to the king, though it is against the law, and if I perish, I perish” (4:16). She was going to do what she was convinced was best, and then leave the rest to God. After reading the book of Esther, many people will say, “I want to be like Esther!” But if Esther is our inspiration, our enthusiasm won’t last. Why Are You Where You Are? We were saved by God’s grace (Eph. 2:8-9) to be his “workmanship” (Eph. 2:10). In other words, God intends for us to do certain things. How would your life change if you believed that you are where you are for a purpose? Arthur Conan Doyle, “The Adventure of the Silver Blaze,” in The Complete Adventures of and Memoirs of Sherlock Holmes, 172-87. I got the idea to use this story from reading Iain Duguid’s chapter on Esther 4:1-17, “The Dog That Didn’t Bark” (Esther and Ruth, 45). Karen Jobes, Esther (NIVAC), 41-42. Haman’s plan to kill all the Jews in the kingdom reminds us of what Hitler attempted. Is “from another place” a euphemism for God? “This understanding is problematic, for it is not a choice between Esther’s delivering the Jews or God’s delivering them. Rather, it is a question of what human agency God will use to deliver the Jews…” (Jobes, Esther, 133-34). The king loved Esther more than all the women, and she won grace and favor in his sight more than all the virgins, so that he set the royal crown on her head and made her queen instead of Vashti (Esth. 2:17). The story of Esther takes place during the reign of the Persian King Ahasuerus (also known as Xerxes). It was a time when a man was judged according to his wealth and power, and a woman was judged according to her beauty—so in some ways, the world hasn’t change much at all. Debra Reid writes that God is “the ‘hidden’ God in the text [of the book of Esther] rather than the ‘absent’ God.”  God’s hiddenness is not absence. We believe that God’s isn’t absent, but we still struggle with the hiddenness of God. We say, “Why can’t I experience a miracle? Why can’t I see a vision?” But Esther never experienced a miracle or saw a vision. Up to this point in the story, what do you think of Esther? Esther was a beautiful woman (2:7), and she was given lots of cosmetics to make her look even more beautiful (2:9). But Esther wasn’t flawless. (1) She apparently broke the Jewish dietary laws since she didn’t refuse “her portion of food” (2:9). (2) She slept with a man who wasn’t her husband (2:16-17). (3) Some would say that she became queen by just doing whatever the men in her life told her to do (unlike Vashti). 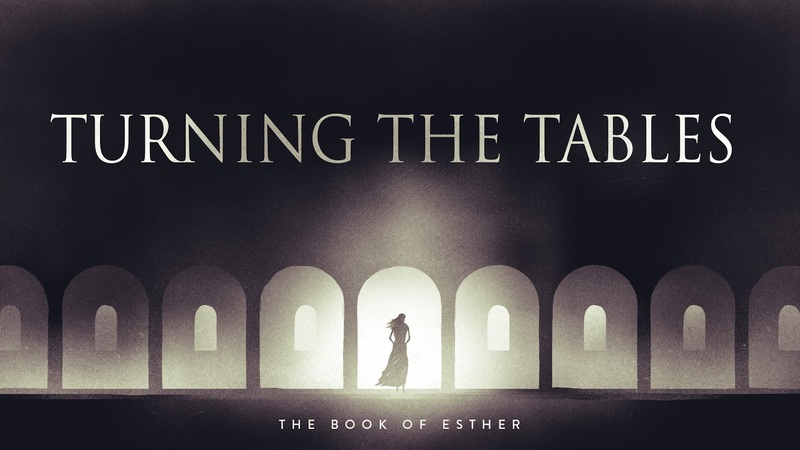 Though she wasn’t flawless, God was going to use Esther to save her people from destruction. Maybe you’re thinking, “Why didn’t God choose to use someone who was more worthy?” If that’s what you’re thinking, then you really don’t understand the message of the Bible. The message of the Bible is that God is a God of grace. God works his will through us, in spite of our failures and shortcomings. We’re not flawless, but neither was Esther. The book of Esther must have a source of hope to Jews living during the days of the Nazi Holocaust. Theologians call this the providence of God. Joyce G. Baldwin, Esther: An Introduction and Commentary (TOTC), 42. Debra Reid, Esther: An Introduction and Commentary (TOTC), 48. Esther is often compared to Daniel, another young Jew who lived in a foreign land. Unlike Esther, Daniel didn’t hide his Jewish identity and “resolved that he would not defile himself with the king’s food” (Dan. 1:8). The deliverance of the Jews was crucial for two reasons: (1) God kept his promise to bless Abraham’s descendants, and (2) the Christ was to be born a Jew. Iain M. Duguid, Esther and Ruth (REC), 29. It’s fascinating to look back at how people lived in the past. Sometimes we can learn from them. For example, people of the past would avoid going into debt over things they didn't really need--like the latest TV we really can't afford. In Acts 2, we read about how the first Christians  lived. They lived in a very different time and place, but they believed in the same gospel. And we can learn some things from how they lived. Prior to the Day of Pentecost, there were “about 120” followers of Jesus in Jerusalem (Acts 1:15). 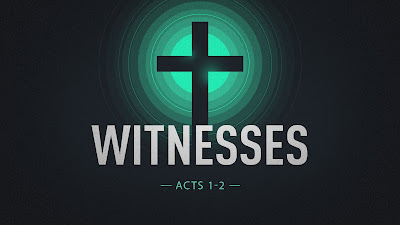 Then on the Day of Pentecost “about three thousand” people  put their faith in Jesus and were baptized (Acts 2:41). In verses 42-47, we are given the activities of the earliest church. 1) It was a learning church. “They devoted themselves to the apostles’ teaching” (v. 42). Before his ascension, Jesus told the apostles to “make disciples of all nations, baptizing them in the name of the Father and of the Son and of the Holy Spirit, teaching them to observe all that I have commanded you” (Matt. 28:19-20). They had a hunger for God’s word. 3) It was a worshiping church. “They devoted themselves to…the breaking of bread and the prayers” (v. 42). It’s unclear whether “the breaking of bread” refers to the Lord’s Supper or a larger meal. “What makes the choice hard to decide is that the Lord’s table was part of a larger meal in the earliest church.”  Perhaps it refers to both. 4) It was an evangelistic church. Verse 47 tells us that “the Lord added to their number day by day those who were being saved.” The good reputation of the church (“having favor with all the people,” v. 47) impacted their witness. Evangelism is something the Lord does through his people. The first Christians were sharing people. They “had all things in common” (v. 44). The gospel wasn’t something these people merely believed with their minds; it changed their lives. They had “glad and generous hearts” (v. 46). Their sharing was not a duty; it was a delight. Since Jesus—our Lord and Saviour—has given his life for us, we should be moved in our hearts to be sharing people. First, they shared their time. They were regularly spent time together (“all who believed were together,” v. 44; “day by day, attending the temple together,” v. 46). Third, they shared their food. They were daily “breaking bread in their homes” with one another (v. 46). Darrell Bock writes, In our culture, our individual needs and rights come before any needs of the group. The biblical picture is not of what someone receives from the church, although one does receive a great deal, but of what one gives and how one contributes to it. What's the one thing you don't have to teach a child? Selfishness. It comes naturally to all of us. It's very difficult to teach a child to share. Most toddlers' favourite word is "Mine!" Our motivation for being generous should come from the truth of the gospel. The gospel changes my motivation from "This is what I'm supposed to do" to "This is what I want to do." I believe that the NT church began on the day of Pentecost. I am defining “Christians” as followers of Christ who have lived since that day. Many of the three thousand were Jews from other countries, so verses 42-47 would not be describing them. This outline is taken from John Stott’s commentary on Acts (The Message of Acts, 81-87). Darrell L. Bock, Acts, 150-51. John Piper, “The Fear of God and Freedom from Goods,” desiringgod.org.